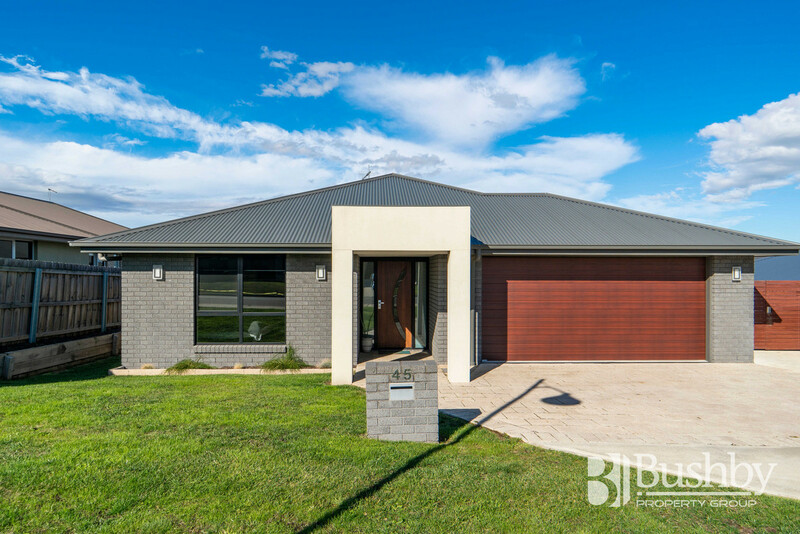 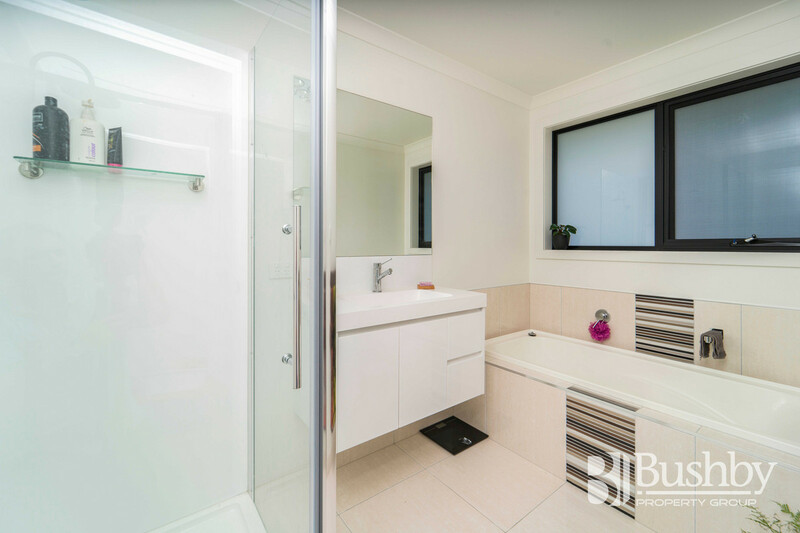 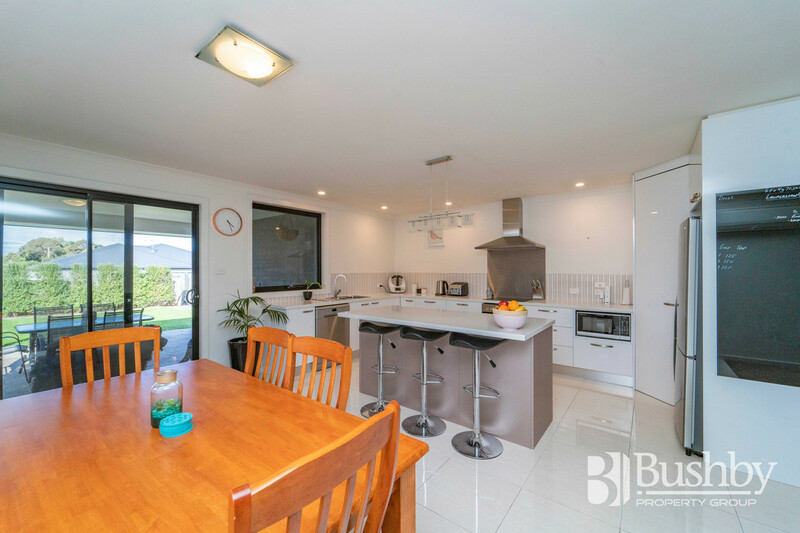 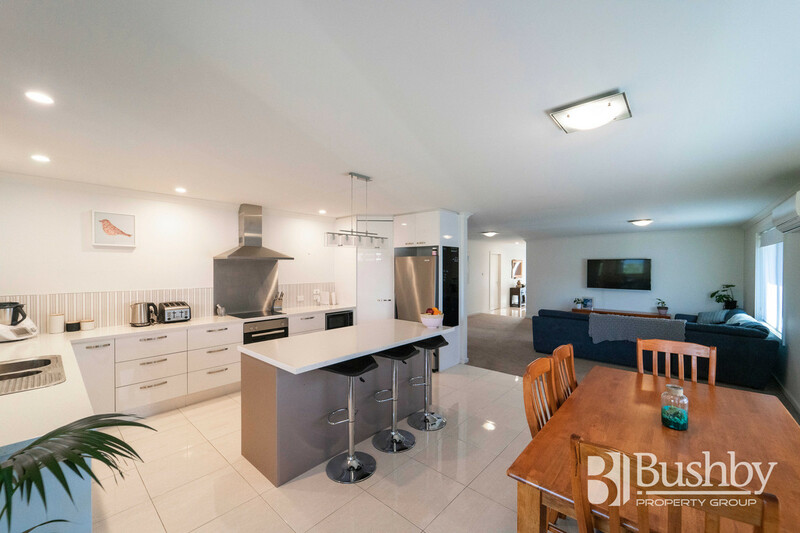 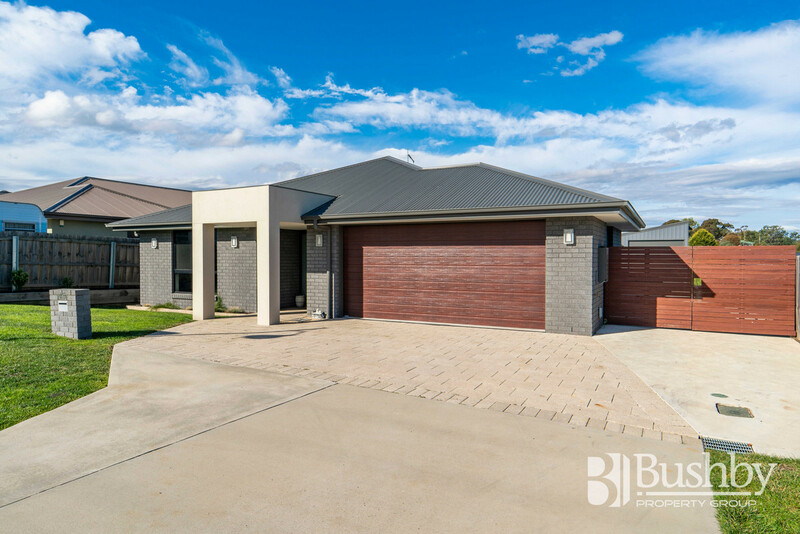 This large, modern family home is perfectly located in a new subdivision of Perth and would ideally suit a young couple or family. 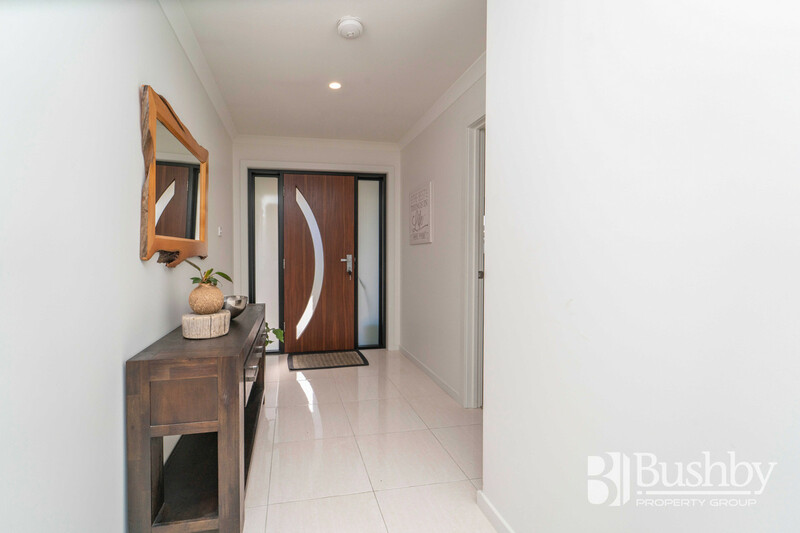 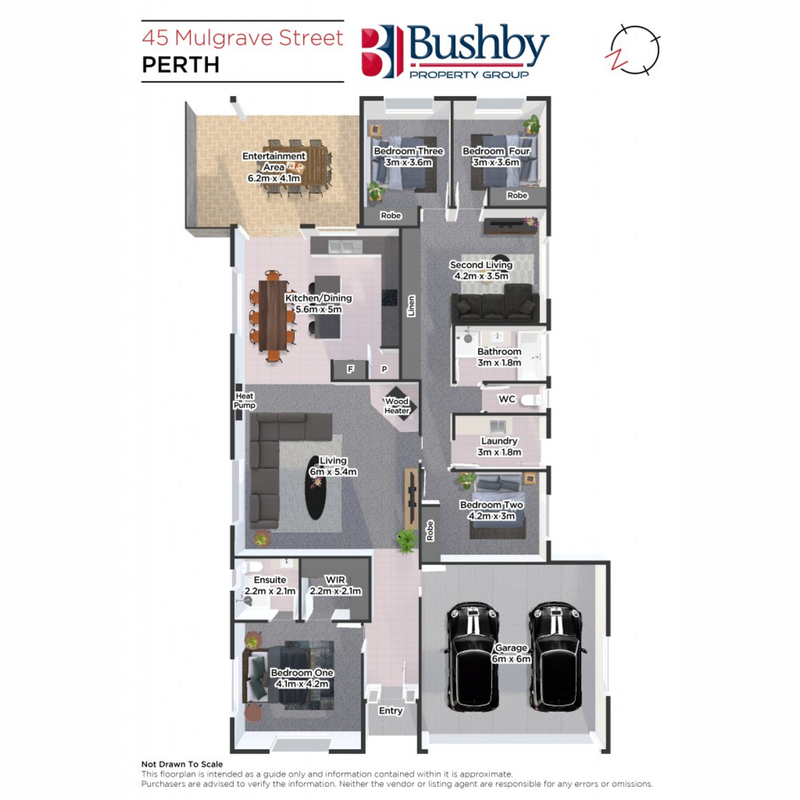 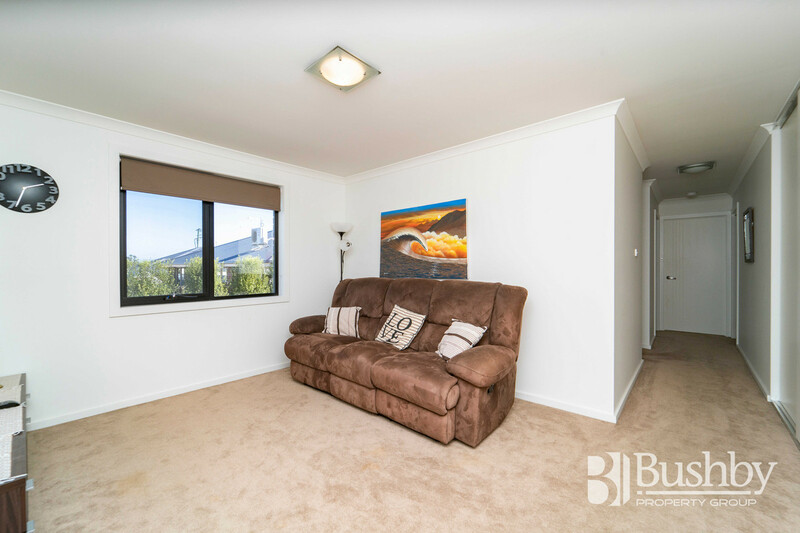 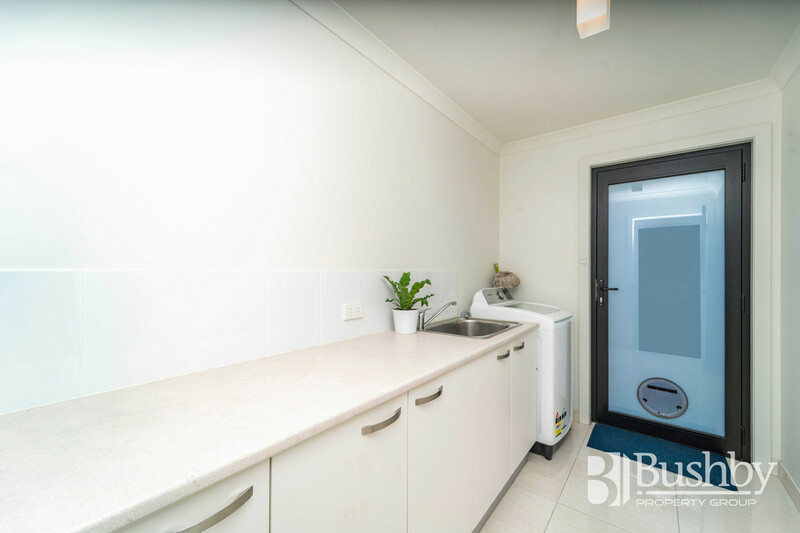 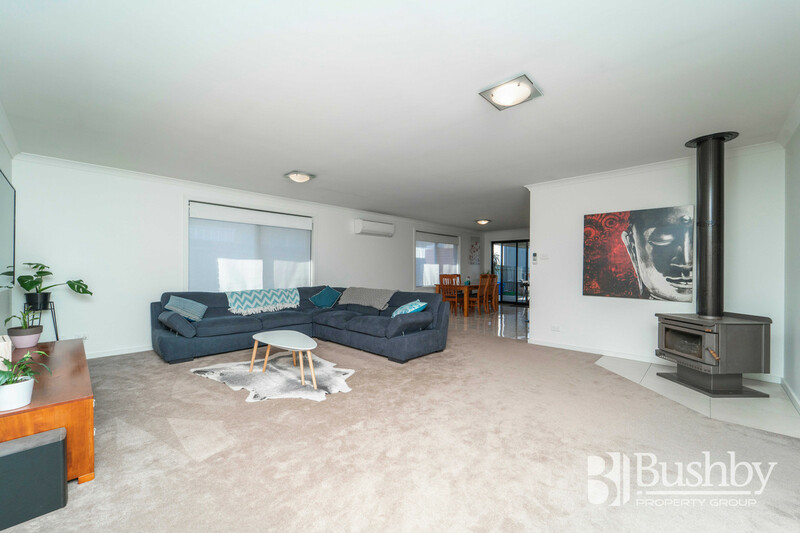 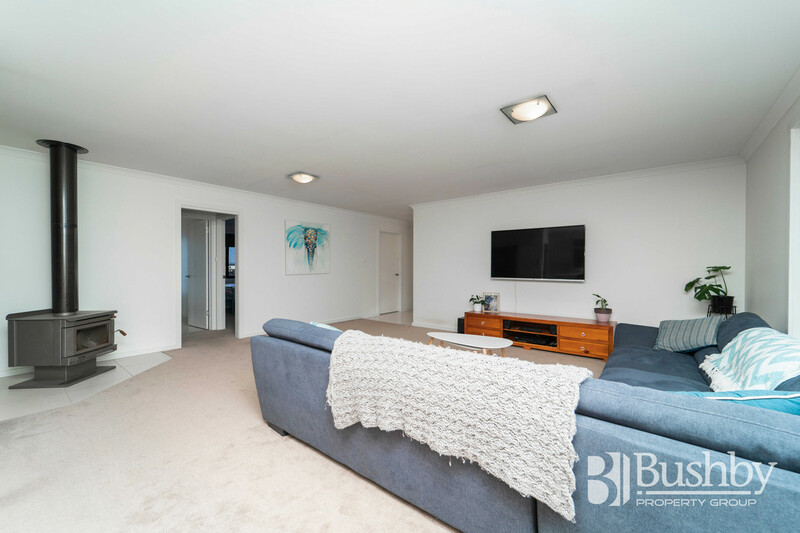 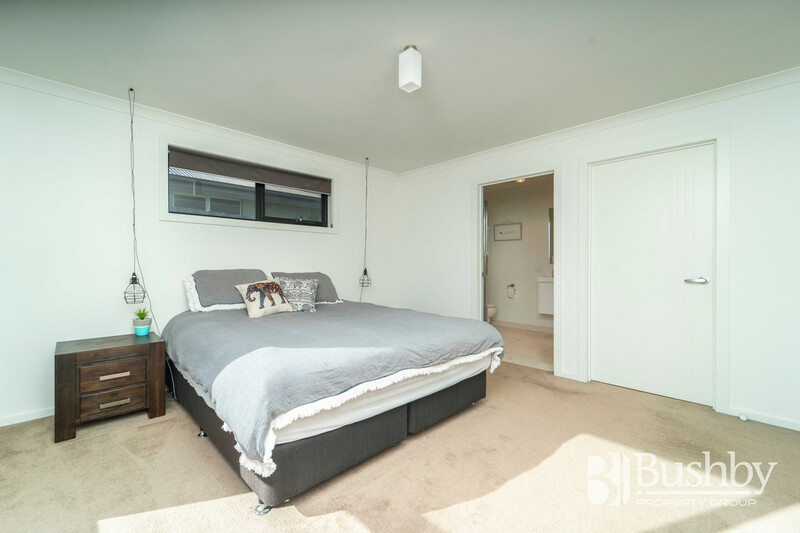 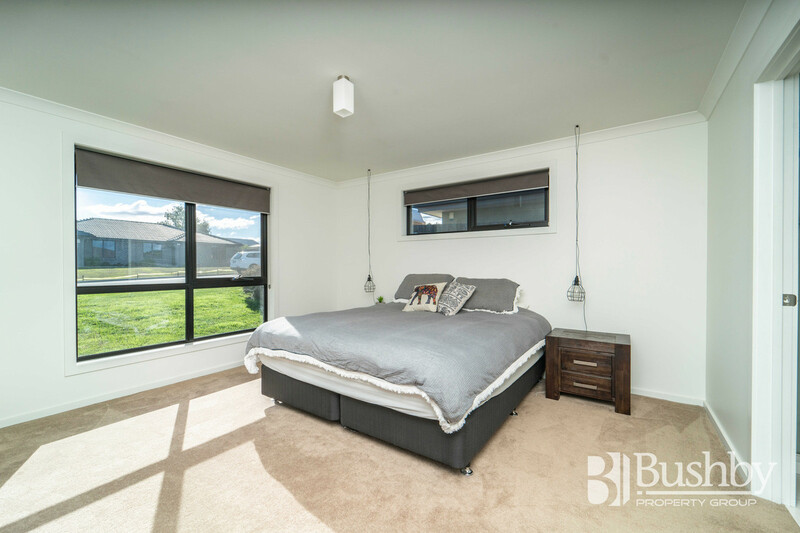 Upon entry you are immediately impressed with the quality and spaciousness of this property, and unlike many of the homes in the area, 45 Mulgrave Street boasts four bedrooms, two bathrooms and two separate living areas. 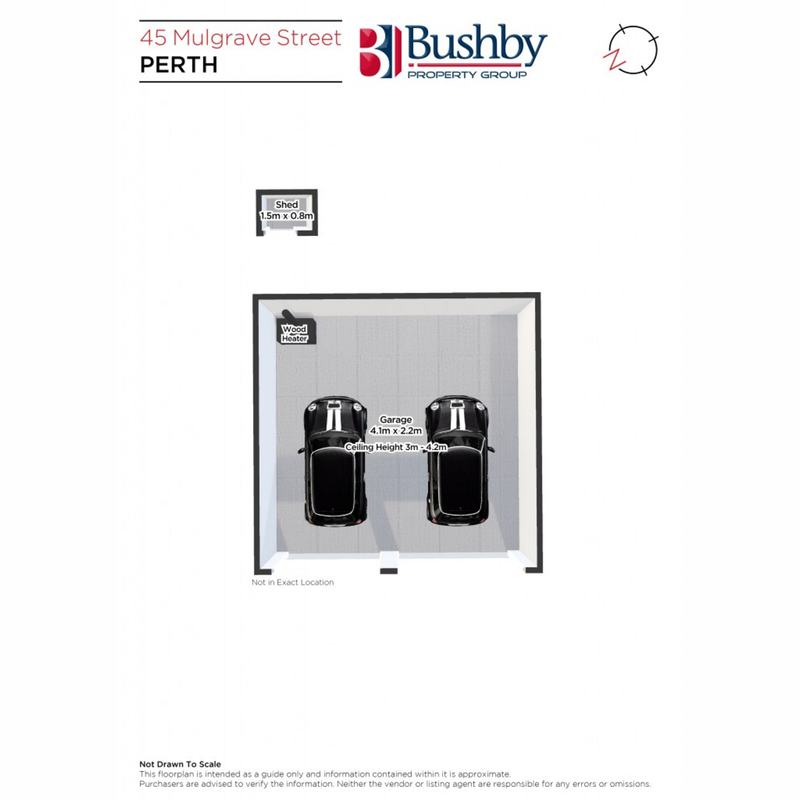 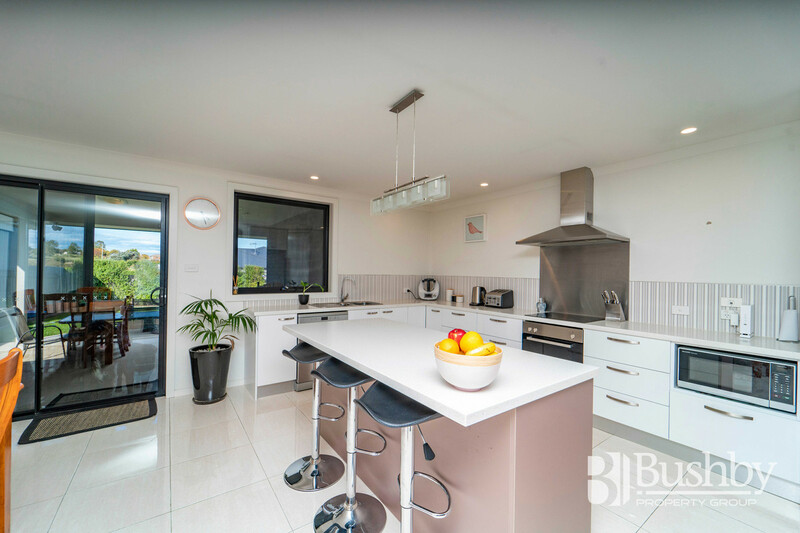 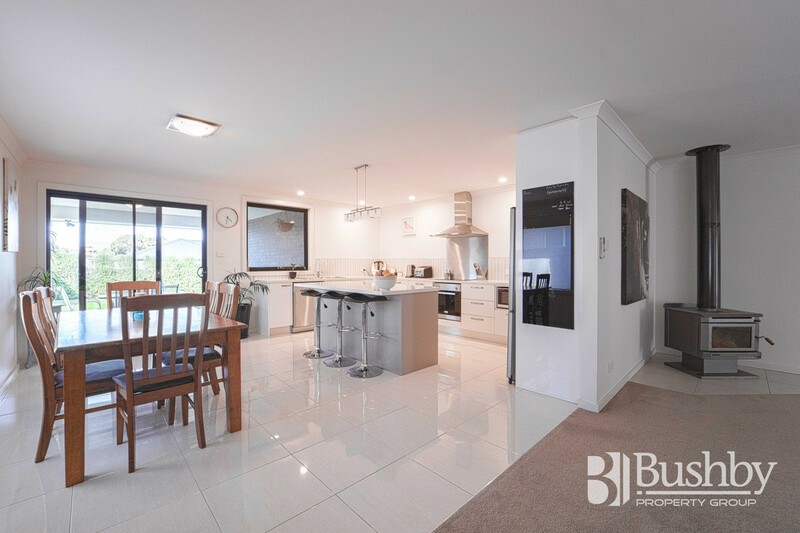 The well designed kitchen is complete with stainless steel appliances and stone benchtops and adjoins an open plan family dining and living area. 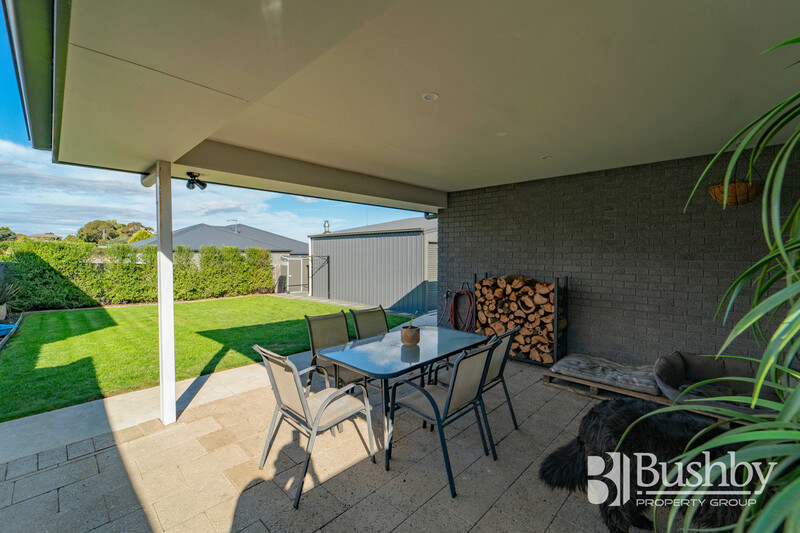 The toasty wood fire provides a welcoming feel to the home or there is the convenience of an electric inverter heat pump. 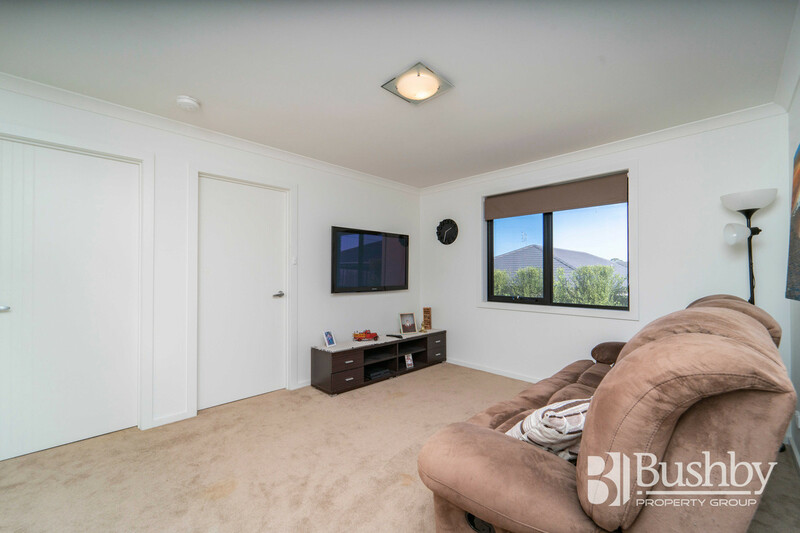 The property also benefits from a second living area and offers the children, teenagers or even mum and dad their own recreational space. 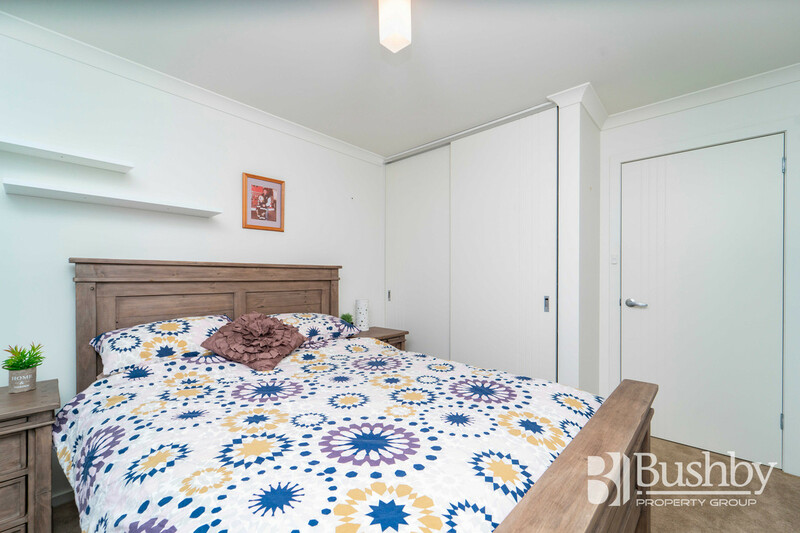 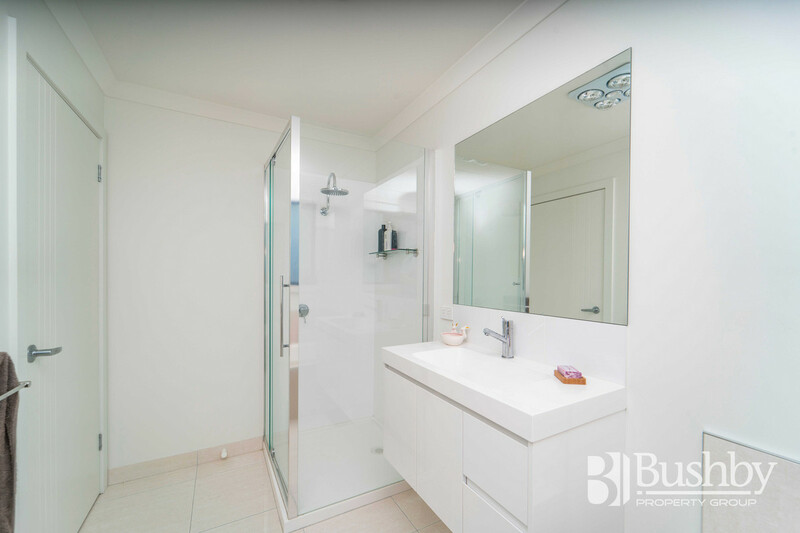 All bedrooms enjoy built-in robes with an ensuite and walk-in robe complementing the master bedroom and stylish day/night window furnishings. 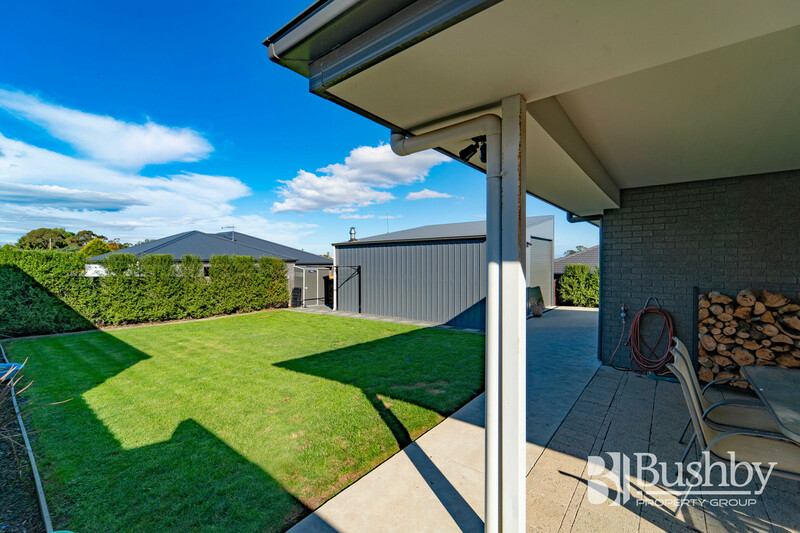 Garaging is an added bonus, with internal access to the double garage as well as a large 7×7 metre garage at the rear of the property. 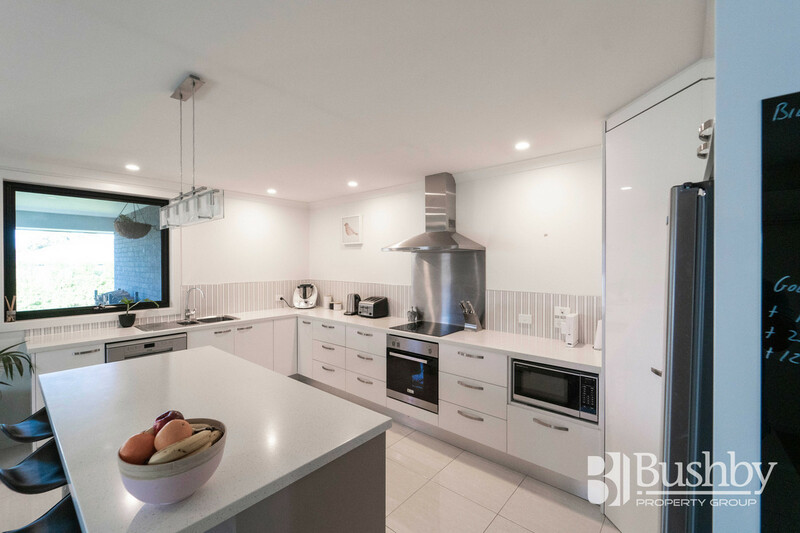 This building provides extra height, ideal for storing a boat, motorhome or caravan and is currently configured as a ‘man-cave’ and workshop complete with freestanding wood heater. 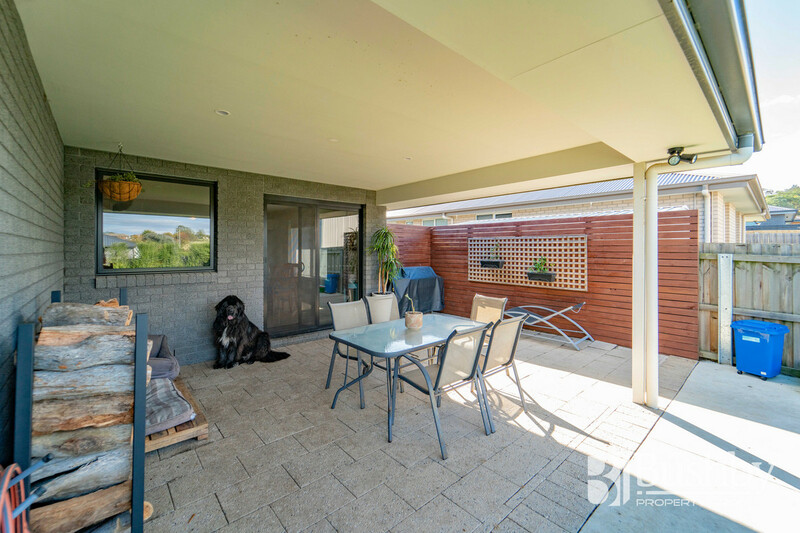 With a fully fenced, landscaped and secure backyard along with a paved and covered entertaining area, this property is certainly one for families with children and/or pets. 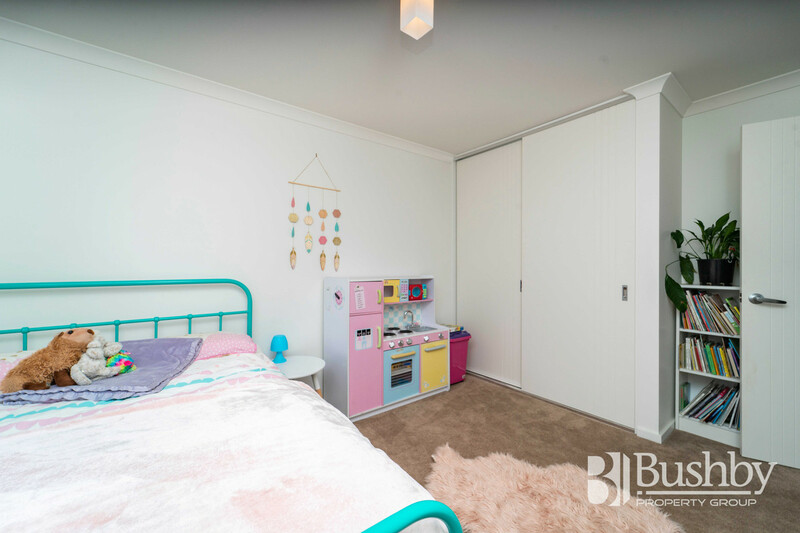 Close to the local primary school, IGA supermarket, bakery, medical practice and nearby park and playground. 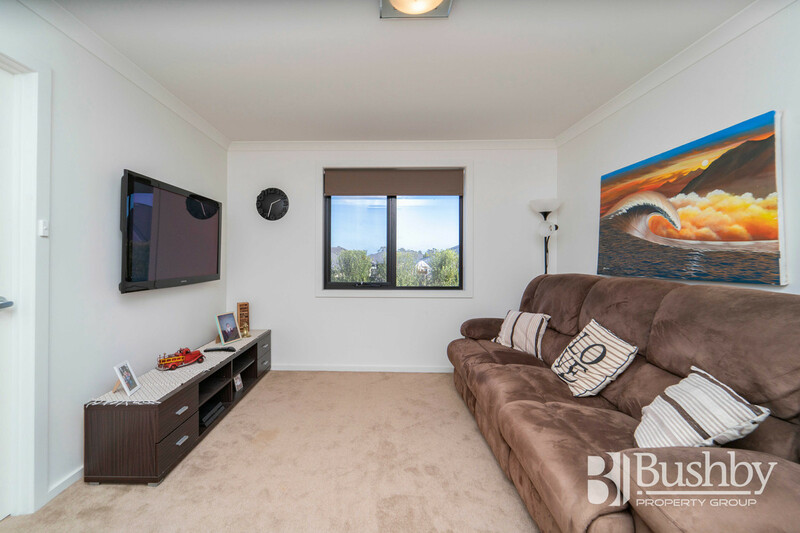 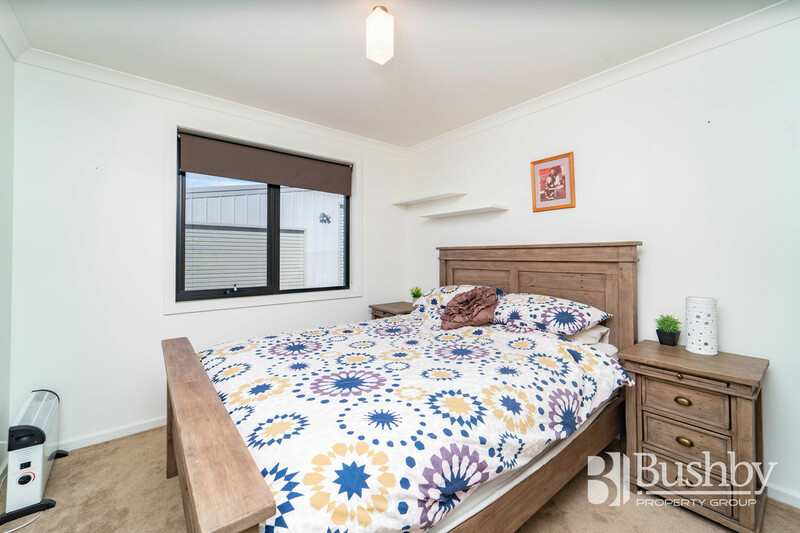 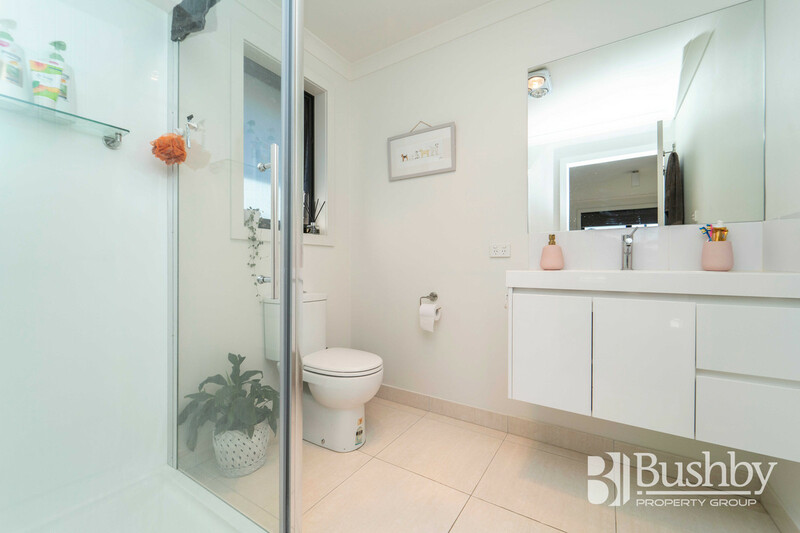 With the new highway recently developed, also an easy commute in under 20 minutes to the Launceston CBD and even closer to the Launceston Airport and Kings Meadows Shopping and Business Centre. 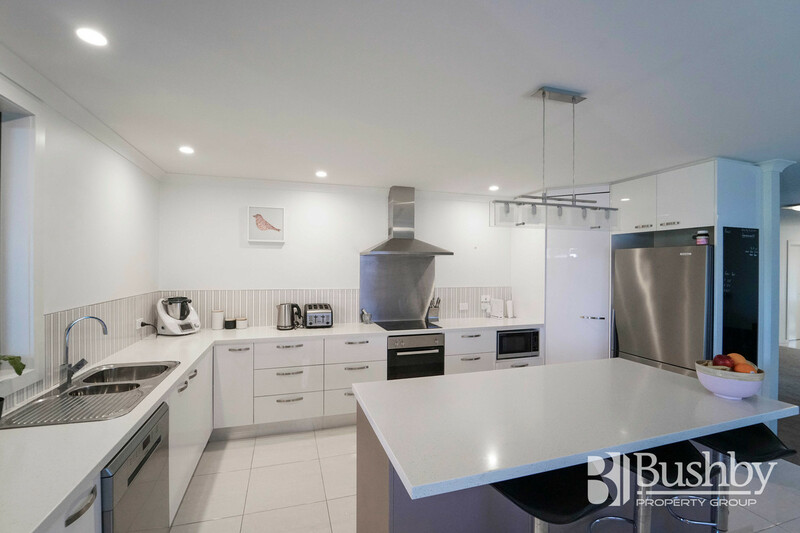 An inspection of this quality home will certainly not disappoint.